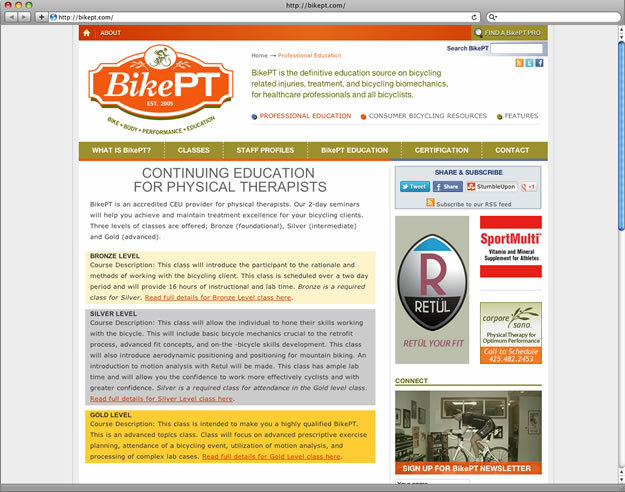 BikePT is an awesome website dedicated to educating both bicyclists and professional physical therapists who specialize in bike fit. 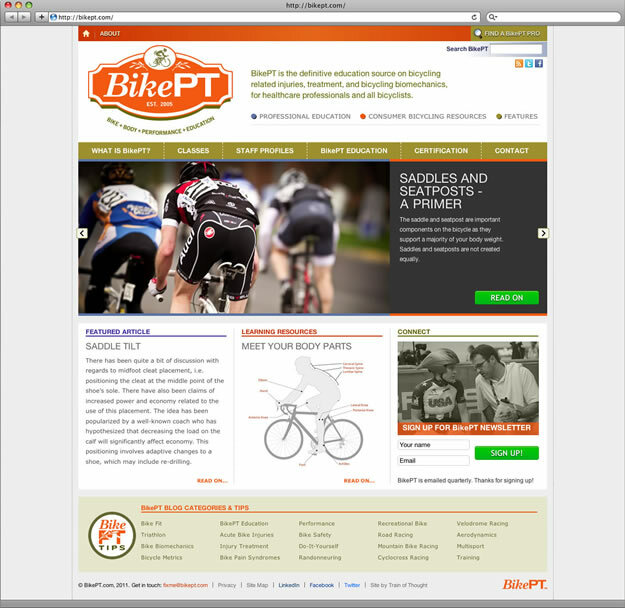 BikePT hired Train of Thought to plan, redesign and rewrite the site. We also helped with corporate identity design.